You know those days when you wake up to a beautiful day with clear, blue, sunny skies? With the perfect temperature and a slight breeze? I’m having one of those days. It reminds me how nice it is to breathe the fresh air and walk in the sun…and be narcissist free! So I got to thinking, shouldn’t every day feel this good once you get the crazy, abusive narcissist out of your life? I wish! I know not every day is going to be perfect and wonderful. Even if you aren’t dealing with a narc, bad days are just a part of life. But I want to challenge all of us to wake up every day, and instead of thinking about all the problems the narc brings you, think about how great life is when you aren’t around a narcissist. Even if you haven’t escaped or cut contact yet, savor every moment without narcissistic abuse because they are wonderful times. Dealing with a narc brings so much stress and misery, that we deserve a break from them. Especially for those of us who have cut contact or minimized contact with the narcissist, there are so many opportunities to learn, grow, explore and be a better person. The narcissist is never going to experience that because they are mentally stuck and can’t change, but we can. 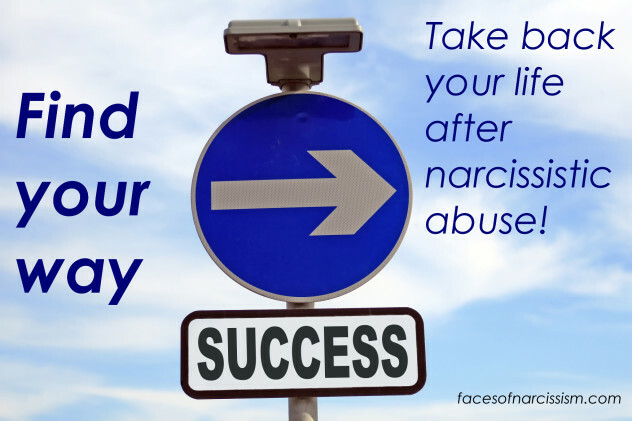 Recovering from narcissistic abuse is hard and can take a long time, which is more reason to focus on the positive future instead of the painful past. Today is a gorgeous spring day where I am, and the weather fills me with peace and hope. I want to take a little bit of that into every day from now on–that exhilarating feeling that life is good and you can make things happen. Spring is about coming back to life and there can be Spring in your life after narcissistic abuse.